KIWOHEDE: Community Champions for Change Against Child Marriage! Building capacity within communities to act as champions for change extends our team of advocates at GIRLS Inspire all working towards girls’ empowerment! 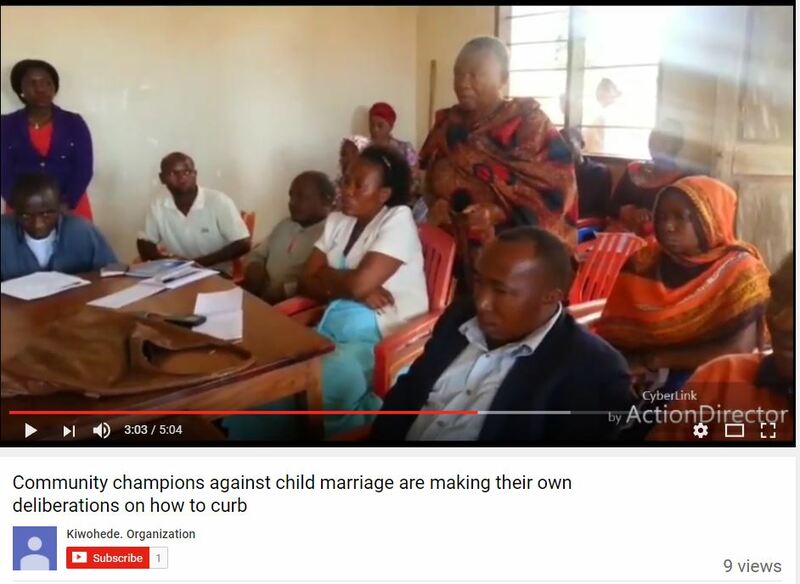 One of our partners in Tanzania does this brilliantly by building the capacity of local champions to spread awareness about the impacts of child marriage. Click here to view their video on our Facebook page. To learn more about GIRLS Inspire in Tanzania, visit this page.